"Lopetegui's team has suffered against good teams this season - Atletico, Bilbao, Sevilla - and the visitors will see this as a chance to get a good result at Santiago Bernabeu." I'm not a fan of VAR. It takes away some of football's essence. Passionate discussions about refereeing decisions are a big part of the game for fans and the media but VAR puts an end to many of those arguments. We should also note that VAR doesn't solve all the problems, as we saw at the World Cup where some VAR decisions were plain wrong. VAR advocates tell us that things are constantly changing and that football must move with the times. Well, ok, call me old-fashioned, but I still prefer the 'old football' without interference from technology. Ernesto Valverde considered it an accident. Fair enough. When Barcelona, who are first-placed in La Liga, lose to a team as weak as Leganés, you can think of it as an accident. But the result is also a wake-up call, as Barca have dropped five points in two matches against poor teams. For that reason, the team must reflect on their failings and consider the results a serious warning for the manager and his players. Furthermore, these recent results will give confidence to the teams about to face Barca in the Champions League and La Liga as now they know Los Blaugrana aren't unstoppable. Barca's upcoming opponents will believe they can cause a surprise. In a home match after two bad results, Barcelona desperately need to react with a win, but as I already mentioned, these recent bad results will motivate opponents. Bilbao will feel they can draw or even beat Barcelona, so I'm not expecting an easy task for Valverde's team. 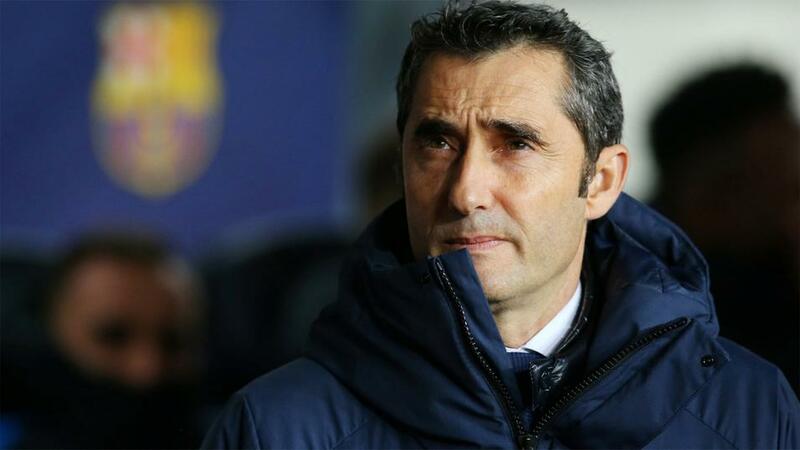 I agree with Valverde's decision to rotate the team and use the new players, as they need to feel part of the group. That will bode well throughout the season. I don't think Valverde's changes are to blame for Barca going consecutive matches without winning. Valverde is right to let new players adapt to the team's system. Unfortunately, these results coincided with that decision, but that doesn't mean Valverde should not continue doing rotating his strong squad. I think that two big clubs losing on the same night could be positive for La Liga. It reminds me of old times when Spanish football was more competitive, and not like last season in which Barcelona almost won La Liga without any losses. Uncertainty is good for Spanish football. It's important to see weaker teams creating problems for the stronger clubs, just like use to happen during my time playing in Spain. After such a prolific victory over Real Madrid, Sevilla must feel very confident and that could help them to make a good campaign this season, fighting for titles and a Champions League spot. I was expecting some trouble for Madrid at Sanchez Pizjuan, as Sevilla are growing as a team recently, but I never expected a 3-0. Marcelo has won many titles and is a great player in Spain and for the Brazilian national team, but when Real Madrid lose someone has to be blamed. Following some controversy about his friendship with Cristiano Ronaldo, and Ronaldo's move to Juventus, it's no surprise that Marcelo is in the spotlight, with some fans and press questioning whether the Brazilian wishes to stay at the club. Criticism from the press is part of the game, but Marcelo is a great player and professional and all this stuff can be forgotten if Real beat Atletico in the Madrid derby on Saturday. It would be important not only for Marcelo, but also for Real Madrid and their manager Julen Lopetegui. As the home team, Real Madrid are favourites, but this is a classic match and, with Real coming off a bad result, and Los Colchoneros off a good home win, the visitors will see this as a chance to take advantage and destabilize Los Merengues run at La Liga. Lopetegui's team has suffered against good teams this season - Atletico, Bilbao, Sevilla - and the visitors will see this as a chance to get a good result at Santiago Bernabeu. Anyway, I think Real Madrid will be able to overcome this test with a tough win, maybe for 2-1.